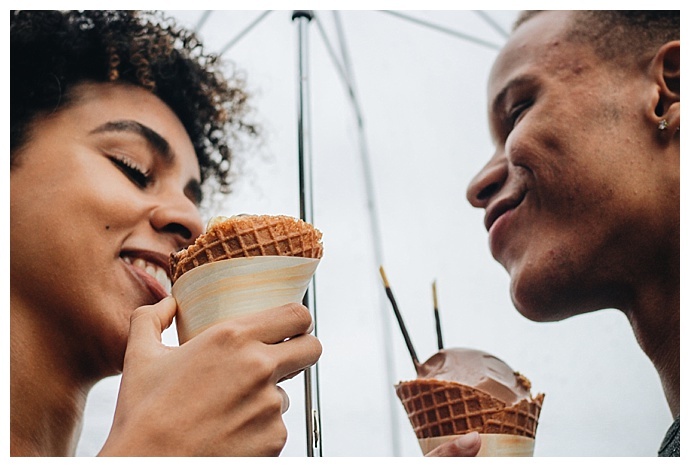 Weather doesn’t always go your way. 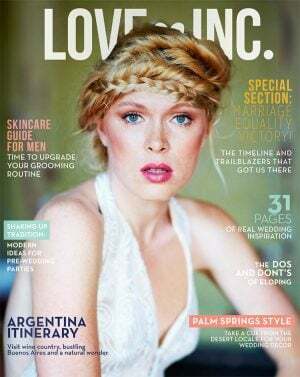 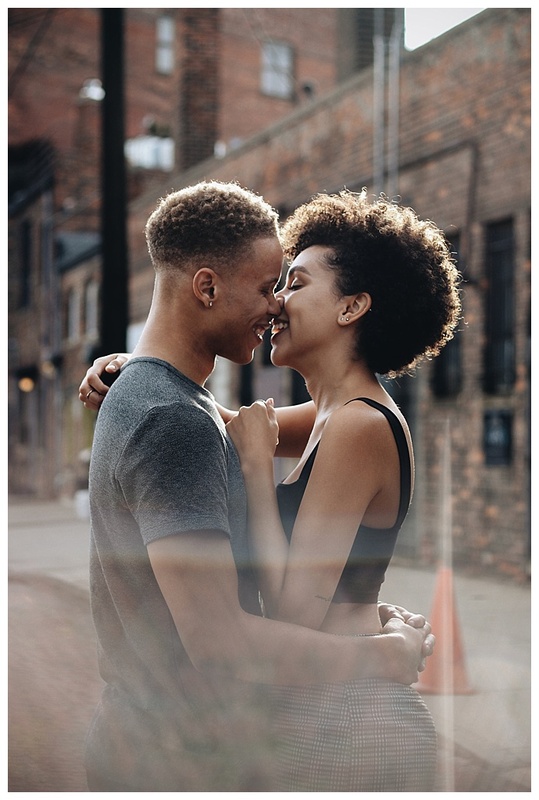 It ruins wedding plans, interrupts travel and halts engagement photo shoots. 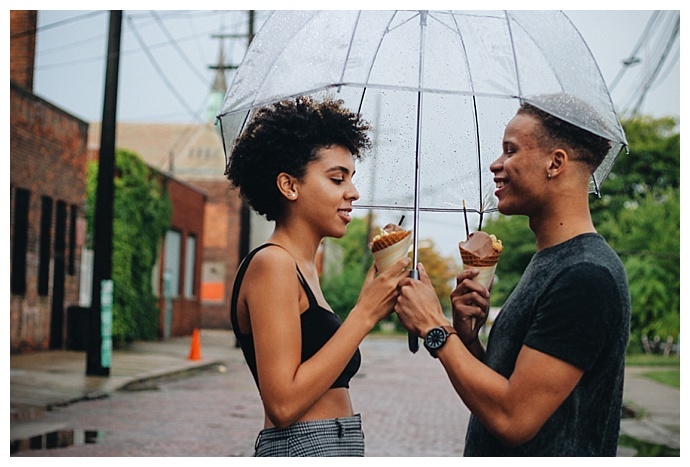 But it doesn’t always have to be such a bother; sometimes a surprise rain shower can turn into an unexpected gift. 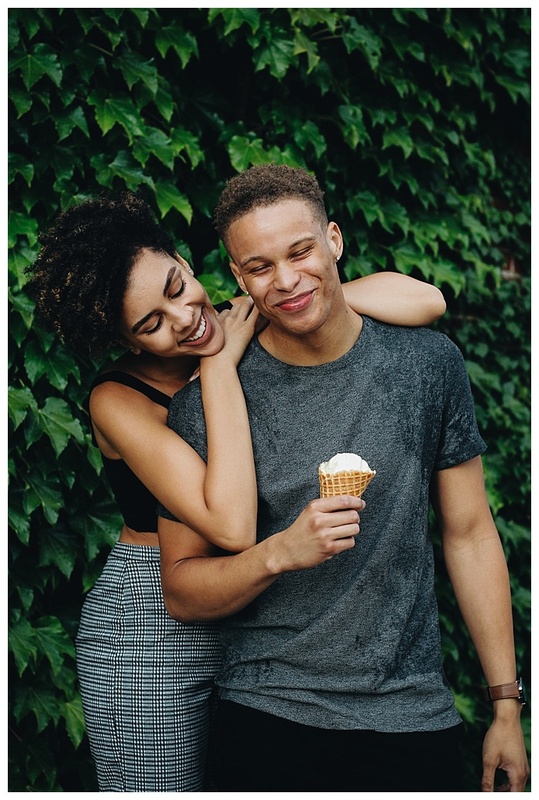 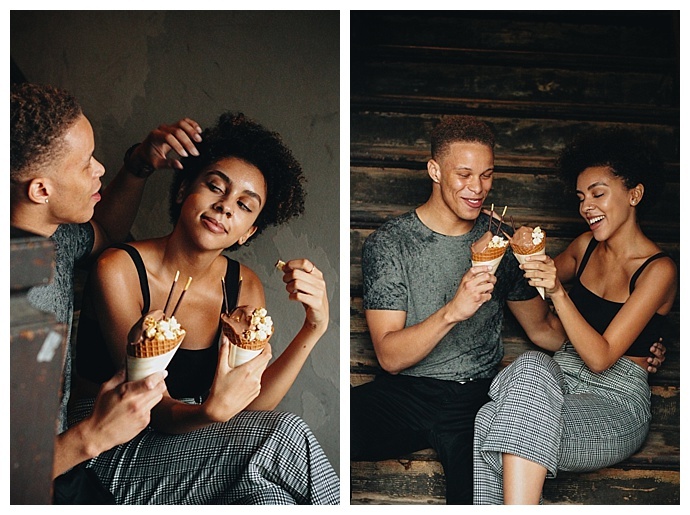 When Sequoia and Davion arrived at Reilly Craft Creamery with Chettara T. Photography to take some photos, they were expecting a sunny day perfect for an adventurous ice cream shoot. 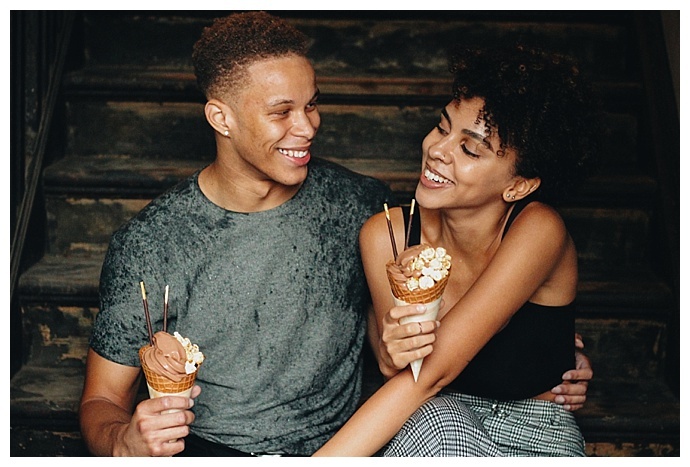 But instead, they ran for cover in a nearby apartment complex with their cones in hand as it began to rain, sharing some laughs and licks of ice cream before deciding to embrace the weather and venture out into the storm. 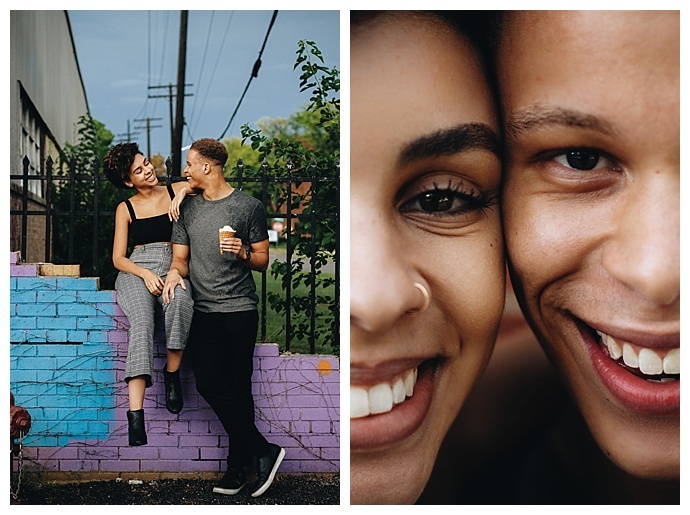 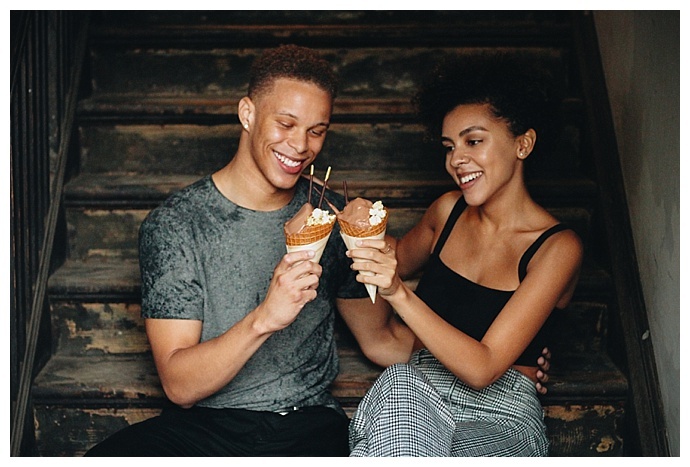 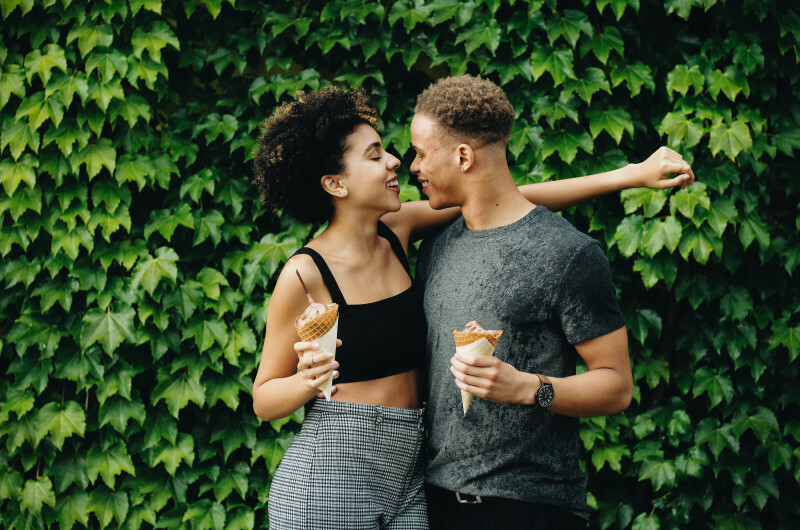 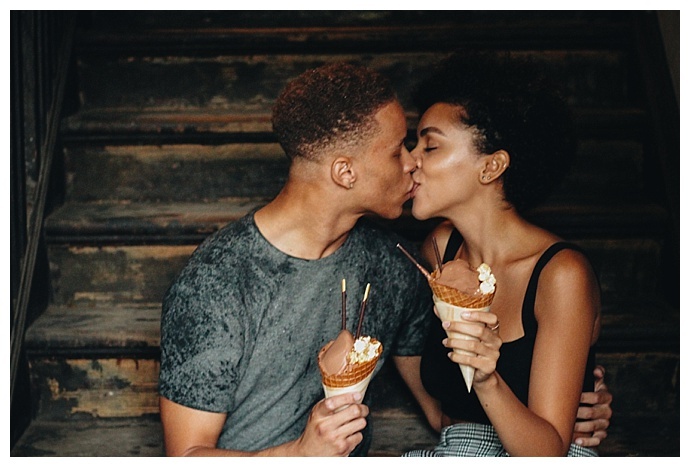 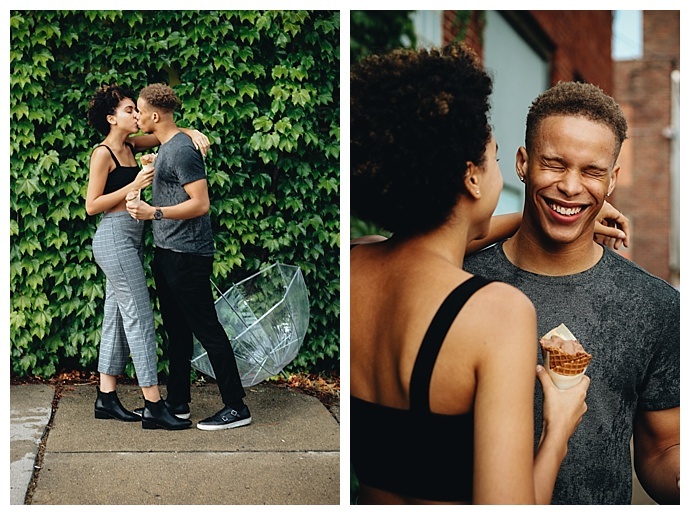 Even the dark clouds above couldn’t extinguish their smiles, and as they shared their ice cream cones, Chettara captured some epic photos of these two having a blast and looking head-over-heels in love. 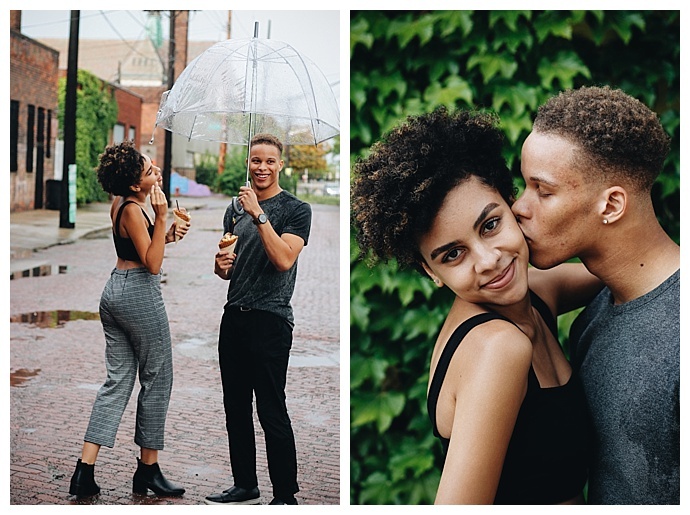 We absolutely adore this set of photos that prove sometimes a little bit of rain can turn into a little bit of magic.